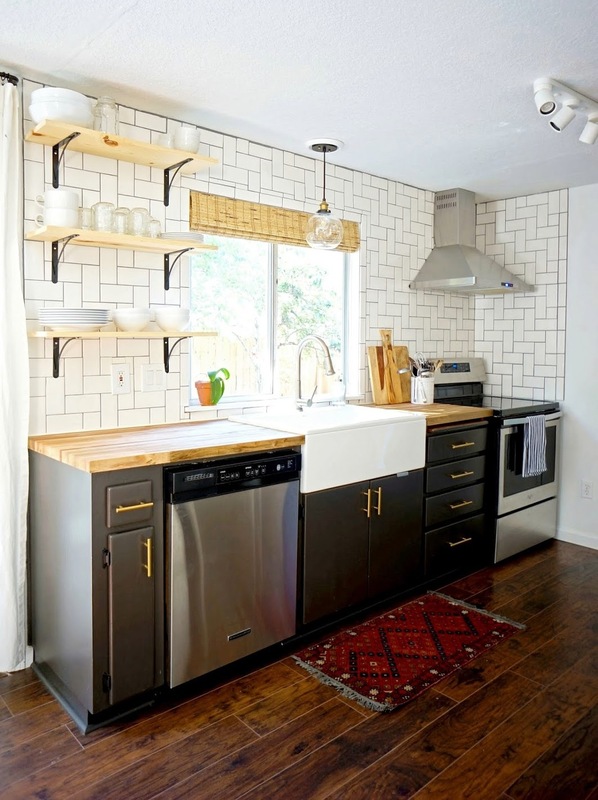 Backsplash and tiling tips for walls! I am so into backsplash-tiling! What a great way to update a kitchen, even a nice or newer one, with a custom look. They're not that expensive, minimal tools are required, you just have to know a few things on how to do it! We're talking about doing your own backsplash or tile wall (vertical tile application) on the Your Home Story podcast this week and I really hope this episode is helpful!! Tiling is a great starter DIY project that can make a huge impact, and doing it on a wall is a great look for a bathroom, bar, or kitchen! Ashley and I have both done tile wall and backsplash projects and there are some tricky things we wanted to share with you. In this episode we share our experiences plus tons of installation tips and design considerations. Ashley’s beginning in tiling her kitchen. Here's my biggest experience with this--we did the whole wall on one wall of our last kitchen, plus the backsplash on the opposite wall under the cabinets we kept. This is a "straight herringbone" pattern out of basic, budget subway tiles (these).